I am sure that there will be a vast amount of Tigers who will be relieved to see the back of the Monkey year and eager to make a start on the year of the Rooster on the 28th January 2017 although I know for a fact that there have been a lot of Tigers who have enjoyed a successful year of the Monkey as I keep in regular contact with some of my clients who have updated me on their progress throughout the year and although the Tiger was predicted trouble over the year, by following the Annual Advice that we gave and placing their Annual Cures and Enhancer Kit, they managed to avoid a lot of problems that were indicated and enjoy some big successes in their lives. The conflict animal for 2017, year of the Yin Fire Rooster is the Rabbit and they will have aspects of their life that are going to require care although there will also be some fortunate areas to look forward to. 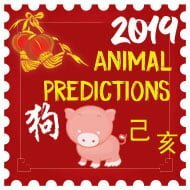 By following the advice for the Chinese Animals for 2017, all of the Chinese Animals can make the most of the year of the Yin Fire Rooster along with the fine tuning of our powerful Feng Shui Software to get as good a result as possible. 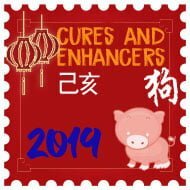 As we come into the year of the Rooster, we will need some special cures and enhancers in 2017 to make the most of the year and this is especially the case for certain animals. Those born in the year of the Rabbit could be affected by the conflicting influences of the year of the Yin Fire Rooster. 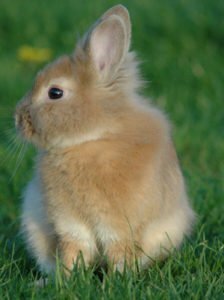 Although the Rabbit is the conflict animal of the Rooster year, those born in the year of the Rabbit should be aware of potential difficulties they may encounter during the year and take extra care in whatever they do without taking unnecessary risks in all aspects of their life. Regardless, if you follow the advice here you can avoid many problems, in our opinion so do not panic. 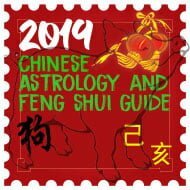 It should be noted that there are five different types of each Chinese Animal (fire, water, wood, earth, metal) which depends on the year you were born and each different animal will have different predictions for the year ahead; you can find out more about this in our 2017 Feng Shui guide. The degree of this influence varies from one person to another. 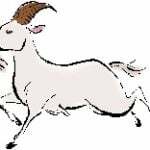 One of the major considerations is the heavenly stem of the year in which one was born so if you were born in 1927 or 1987 which would be a Fire Rabbit, the year will not be bad at all. Chinese astrology and western astrology are two very different things. Chinese astrology is used to inform people of what they could place and how they can make certain changes to their lifestyle and also how to apply cures and enhancers to avoid any problems that could potentially arise in their life; Chinese astrology is also about having the information in advance so that they can prepare themselves for the eventualities of the year ahead. Most of the time, prevention is the best Cure and by knowing what could take place in the year ahead, you can avoid a lot of problems predicted. 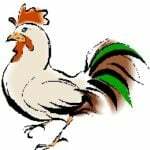 The information that we publish every year on this site will help you to be prepared and make informed decisions throughout the year of the Rooster for certain aspects that may affect your well-being and endeavours. It is important that you know when and how to avoid bad influences during 2017 and also when and how to make the most of the good influences. If you follow the advice for your Chinese Animal for the year of the Rooster, you will be able to avoid a lot of problems that are predicted for the year; it is also important that you begin the year with a positive and determined attitude with a desire to accomplish your goals as this can play a huge role in your successes of the year. 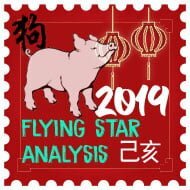 You can also avoid a lot of problems by reading our advice for the 2017 Flying Star (Xuan Kong) and For example: if your Chinese Animal is a Tiger and you read below on our synopsis for the year or somewhere else that the year ahead is going to be problematic for you, you can honestly avoid many problems by thinking positive and researching your Flying Star chart and looking for the source of the problem in your home and make the most of the good areas of your home and office and suppress the negative influences of the bad areas; It really is amazing how you can find the source of problems going on in your life by checking your Flying Star chart for your home or office. I can guarantee that there will be a great deal of websites and other practitioners who will be predicting a vast range of problems and disasters for the year of the Rooster for certain animals although what they probably won’t mention is that even though there is likely to be problems this year for certain animals, there is always a solution and is something that we have written in to our synopsis for all animals for the last 17 years. Please take this advice with a pinch of salt and have a fantastic year of the Rooster. 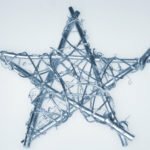 I would recommend that you prepare your annual cures and enhancers as soon as possible as it really is crucial to get this right although please do not place your Cures for 2017 before the 3rd February 2017 as this is the beginning date for when the Annual Flying Stars change for the year ahead. You should find that being prepared for the year ahead by planning your cures and enhancers will allow you to avoid the stresses of this when the time comes to place these and will help you get off to a good start in 2017 and set the foundations for a trouble free year; make sure that you check back at the beginning of every month on here for our monthly updates to be even more prepared for the year ahead. If you want to be fully prepared, you could use our professional Flying Star Feng Shui Software or 2017 Tong Shu Almanac Software which will give you total control on an annual and monthly basis. This year we have combined the software with our annual cures kit to give you even better value and savings. Those born in the year of the Rabbit may be affected by the conflicting influences of the year of the Yin Fire Rooster (Ding You) year. In saying this, we hope that those born in the year of the Rabbit are aware of potential difficulties they may encounter during the year and take extra care in whatever they do and avoid taking undue risks. The degree of influence varies from one person to another. One of the major considerations is the heavenly stem of the year in which one was born, more on this later. 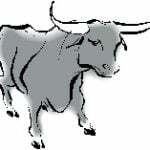 To find your animal sign, open the link above and locate your date of birth. 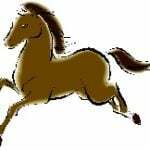 If you are unsure of your Chinese Animal maybe consider using our Feng Shui software that calculates it automatically along with personal Gua, flying stars, annual, fixed and monthly and so much more. 2017 is the 4715th year of the Chinese calendar. In China, the solar calendar of the Ding You (Yin Fire Rooster) year starts on 3rd February 2017 at 23:34 China time. In the UK, the new solar year starts on 3rd February 2017 at 15:34. In Washington USA it will start 3rd February 2017 at 10:34 and if you live in Barcelona you would place your cures at 16:34. Every year we put together a page on Chinese New Year world times 2017 that will help you confirm the times and dates for the Chinese New Year’s Solar and lunar. This is not the Chinese New Year 2017 you would celebrate; please check this website for further details. 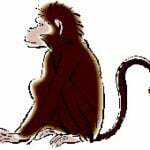 Please click the image of any Chinese Animal below to view their advice and predictions for 2017.